The 911 call the evening of Aug. 27, 2015 is chilling to hear. A man in his 20s, with a gunshot wound himself, is heard crying for his brother who would later not survive. "Bro!" the dispatcher can hear him cry. "Bro! My brother's been shot!" and then a long, loud scream: "Noooooooo!" That caller is Wendal Jamar. And he felt those same feelings just 10 years before when he was present for the murder of his twin brother. That case remains unsolved. 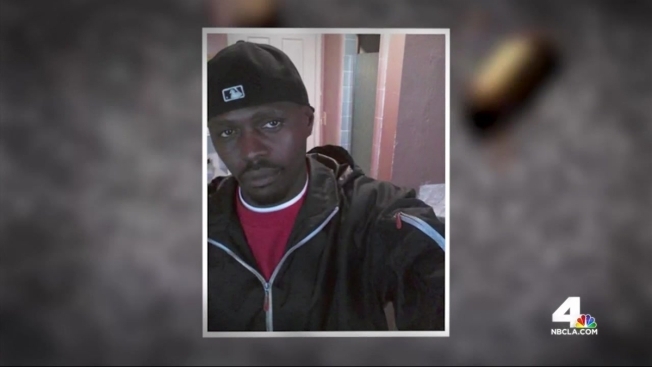 But for his big brother, 38-year-old Davion Washington, his murder happened when Washington was trying to rescue Jamar from the streets of South LA. "We had already moved to Texas," Valerie Sherman says of her son Davion. "He was coming back to convince him to move with us." It was supposed to be a quick trip. It would be Davion's last. "You get that call and it's like, your son's been shot. I thought I'd never breathe again," Sherman said. The murder happened in the middle of South LA's deadliest month in decades and during the rumored #100Days100Nights of violence. LAPD 77th Division is investigating and detectives from South Bureau Criminal Gang Homicide Division say it's likely someone knows who the shooters were. The shooting happened in an apartment courtyard near West Century Boulevard and Van Ness. Police describe it as an ambush, leaving three people shot. Only Washington was killed. "A green Mitsubishi Montero pulled up to the location," describes LAPD Officer Gregg Fischer. "Two male blacks, mid 20s, exited the vehicle, both armed with handguns. They fired 14 rounds at the victims, striking all three victims." It was just after six in the evening, the sun was still shining and the trio were enjoying a barbecue. Neighbor Stanley Piper remembers hearing the gun shots and hitting the floor. "It's senseless," he says. "Actually seeing the person gasping for air, taking their last breath, whatever. It kinda sticks with you." Piper says he believes someone knows something they're not sharing with police, too, adding that the code of silence is affecting the community. "In order for the neighborhood to change, the people gotta change," he says. As for Sherman, she doesn't make excuses for the lives her sons lived. She admits to having overcome drug and alcohol addiction, saying her faith in God is what pulled her through then and pulls her through now. "I don't understand why it happened but I trust God," she says. And still her pain is like hundreds more mothers in South Los Angeles grieving over their children, many of them without any answers as to who pulled the triggers. Their only hope is that someone will come forward in their search for justice. "I know that justice will be served for my son. I know that," Sherman says, "I know it in my heart." Anyone with information in the case is asked to contact LAPD South Bureau Criminal Gang Homicide Division. Callers can remain anonymous. The number is: 323-786-5100.